The stunning BBC Planet Earth II television programme of snakes attacking baby marine iguanas was a recent reminder of how cruel nature can be. 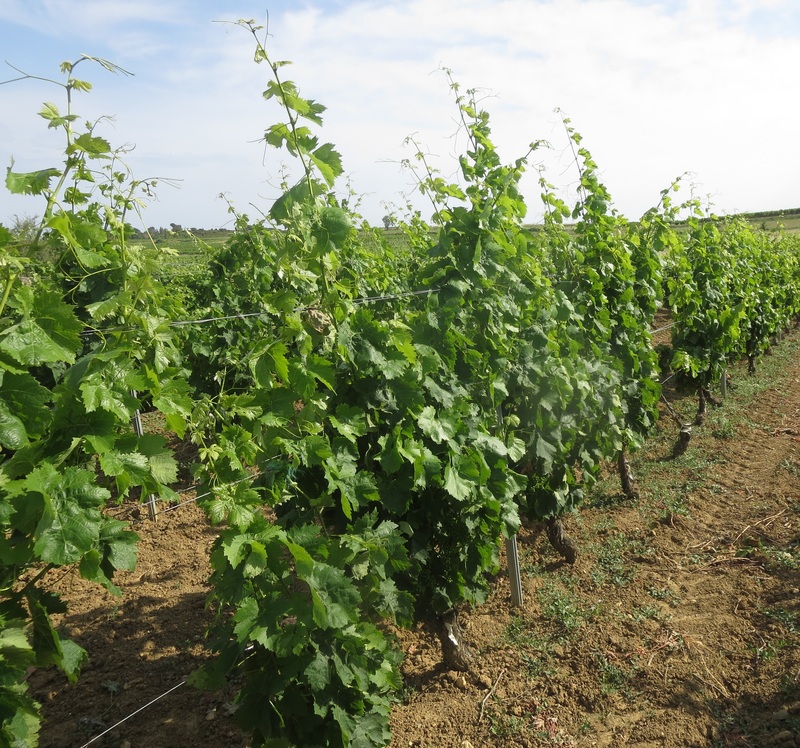 2016 has seen vineyards across France attacked by a multitude of problems and in this series of three articles I want to show how the vines and the grapes are affected by these problems. Firstly, the weather. 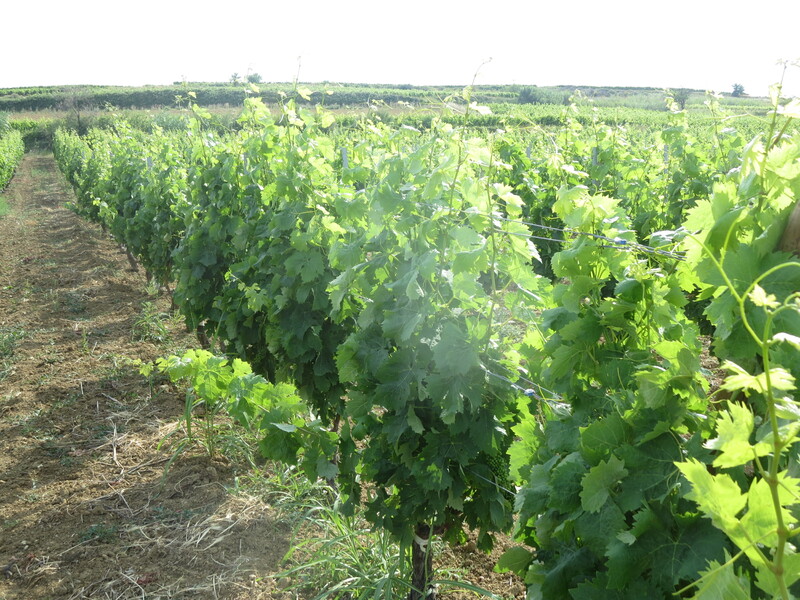 The year began with no frost in the Languedoc throughout the winter. 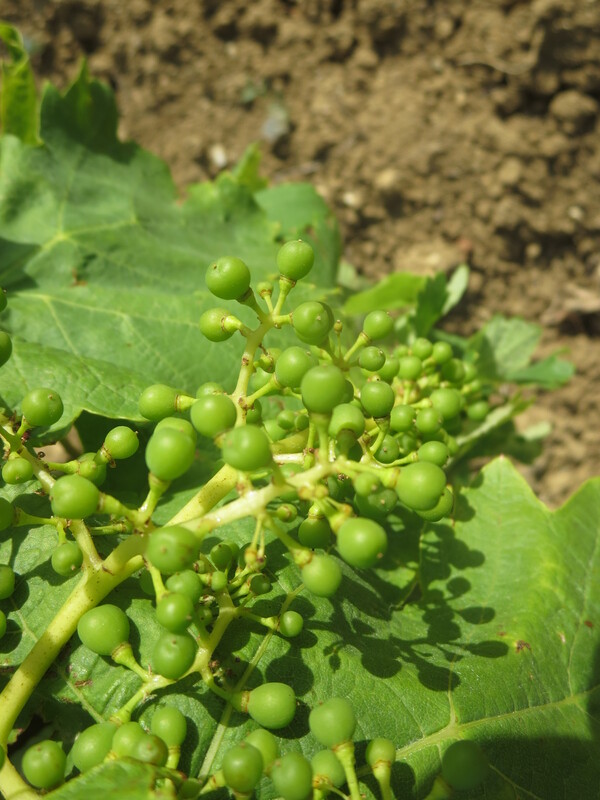 This meant that the vines found it hard to recuperate from 2015’s exertions as they could not sleep. 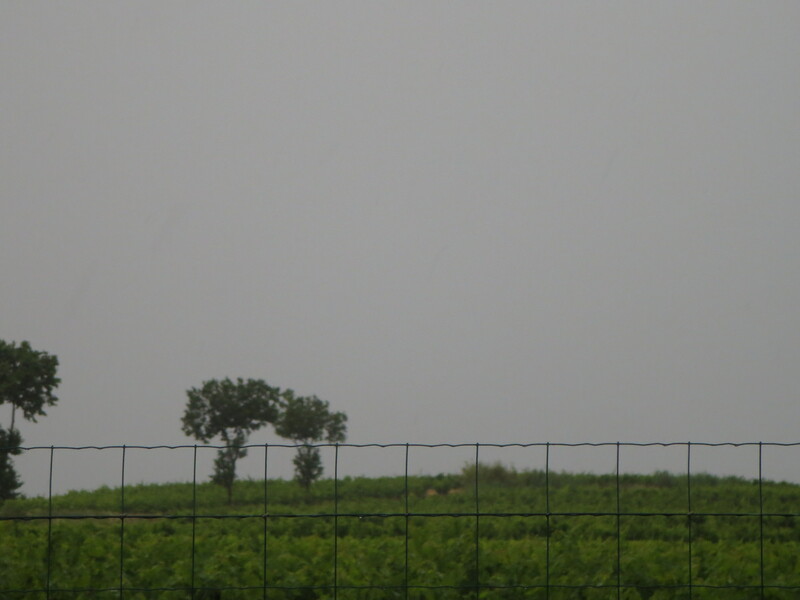 When pruning got under way in earnest during January many vignerons reported sap flowing from the vines. This was bad news, the sap and the vines should have been resting, storing their energy for the year ahead. 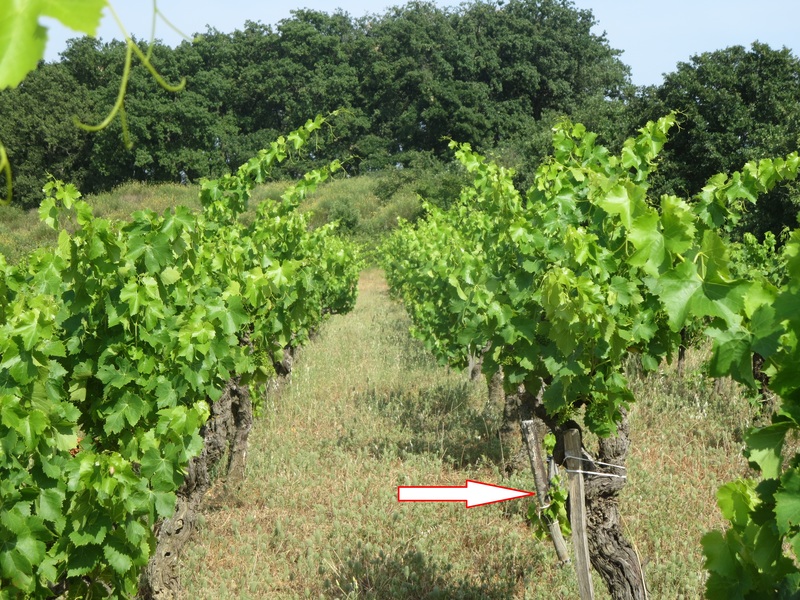 Consequently, when other problems arrived during the course of the year the vines were always vulnerable, struggling to resist them. 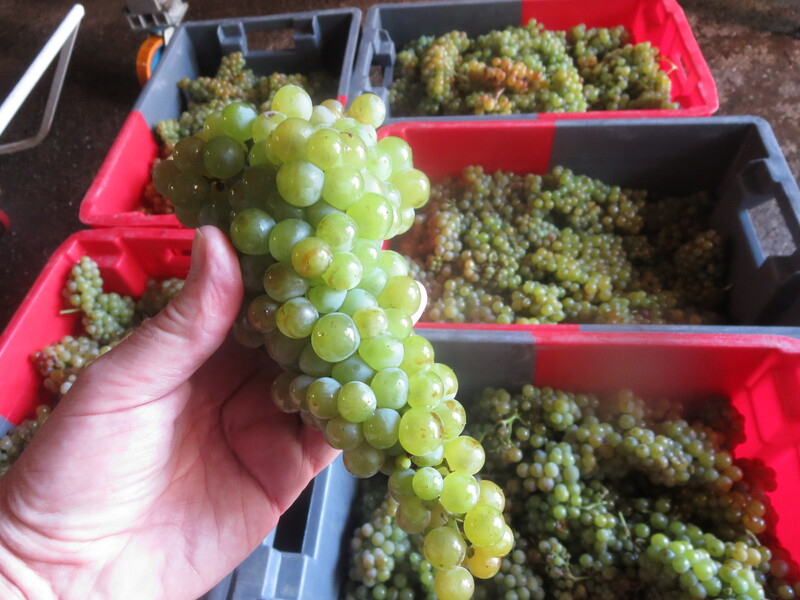 Ironically, after such a warm winter, frost and hail damaged vines across France. The Loire, Rhone, Cahors and Pic Saint Loup were all hit at various stages, Burgundy and Champagne too. 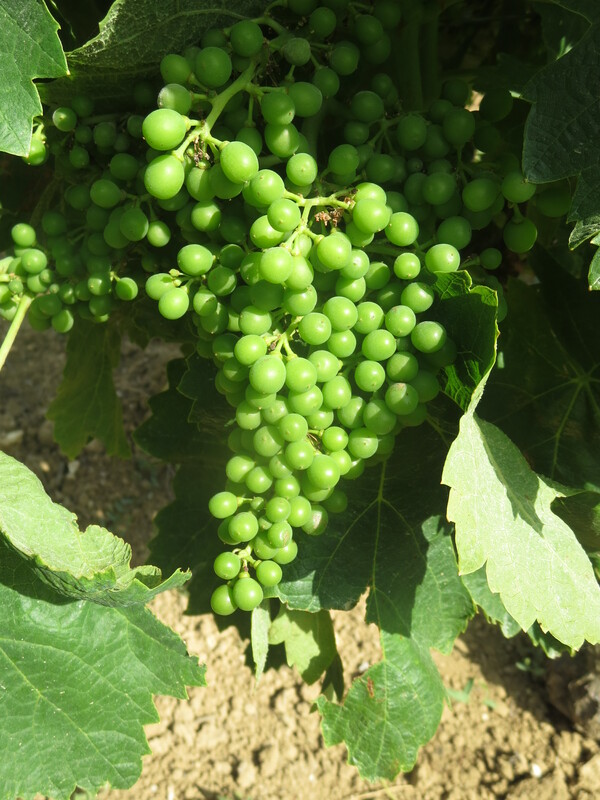 When I visited the Loire in early May it was sad to see many vineyards hit by frost, especially those adjacent to other crops whose humidity helped frost to form. 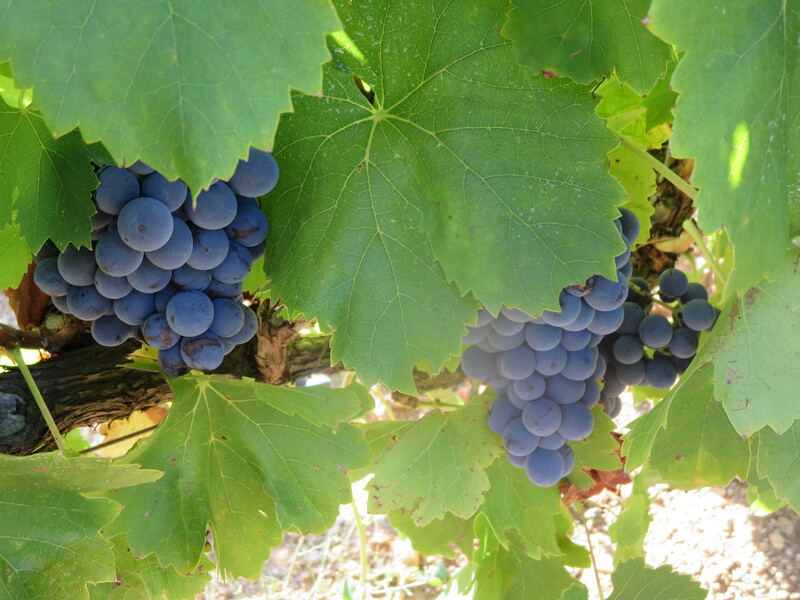 Some vignerons faced huge losses of vines and potential grapes. 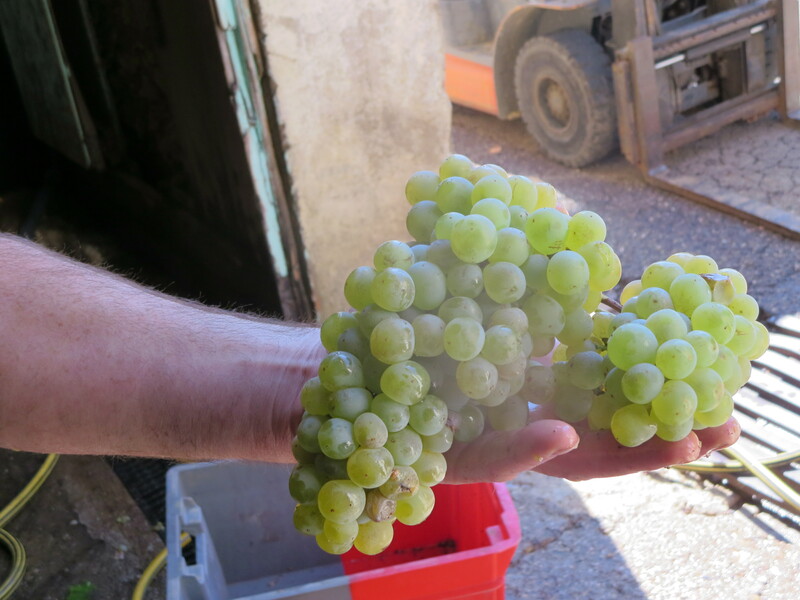 On August 17th hail hit the Languedoc, especially the Pic St Loup region where vines laden with grapes were smashed leaving some producers with no harvest at all in 2016. Mas Coutelou in Puimisson was also damaged though not so seriously. The storm ran through a corridor across Sainte Suzanne to La Garrigue and on to Segrairals. 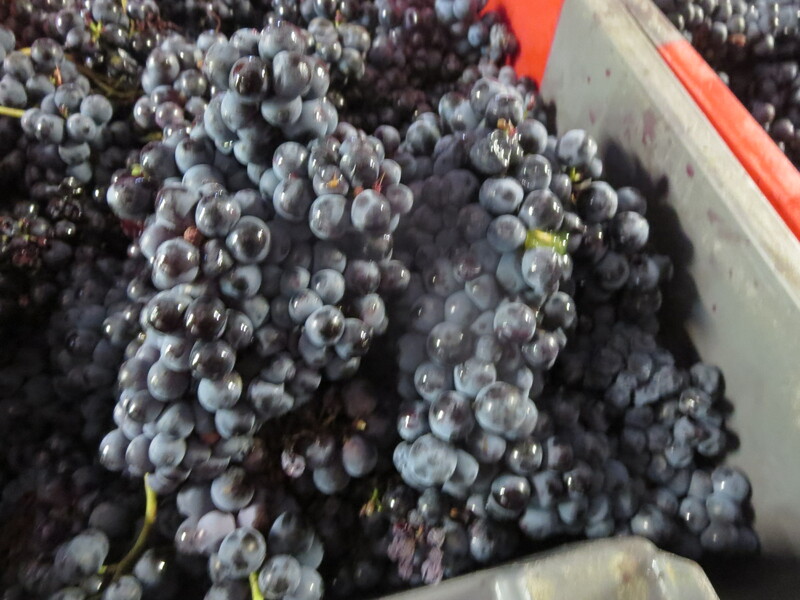 Even here vine branches were snapped, grapes shredded and bunches ruined. It was possible to see how one side of the vines was damaged where they faced the storm, yet the leeward side was virtually unscathed. 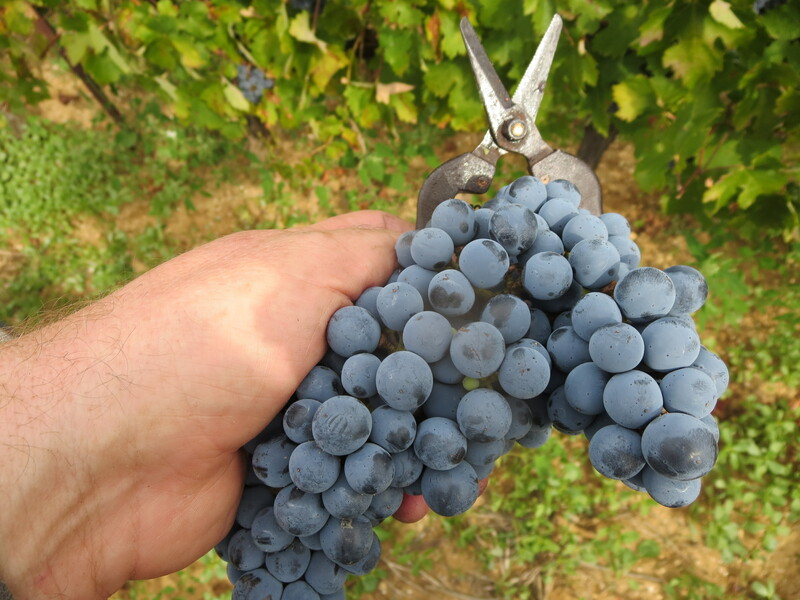 Jeff was forced to pick these damaged vines much earlier than normal before the damaged grapes brought disease and rot to them. The other major weather problem was drought. 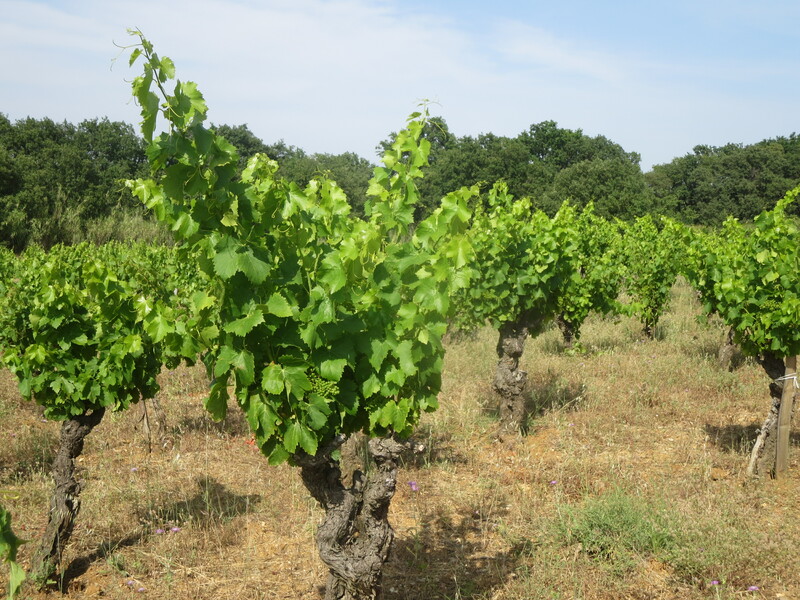 There was virtually no rain for months in the Languedoc, especially from winter to early summer. Cracks appeared in the soil, plants turned brown. 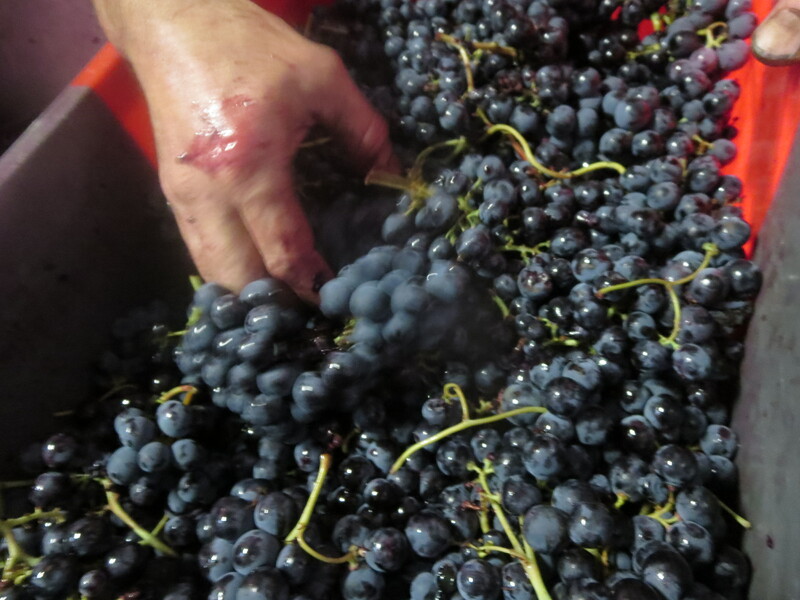 The lack of rainfall meant that when the grapes began to mature the vines could not provide much water, small berries with little juice were the norm. 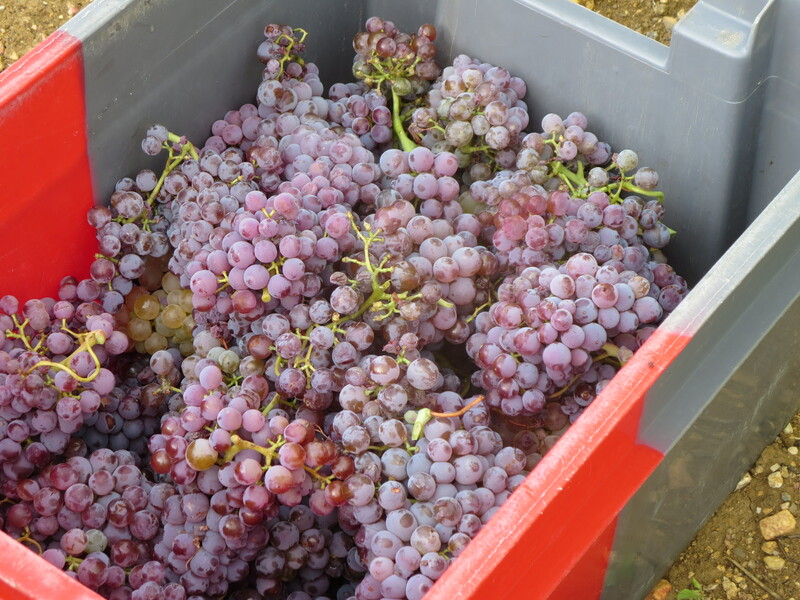 Vignerons everywhere in the region reported much reduced yields, at Mas Coutelou reds down by 20-30%, some whites down by as much as 60%. 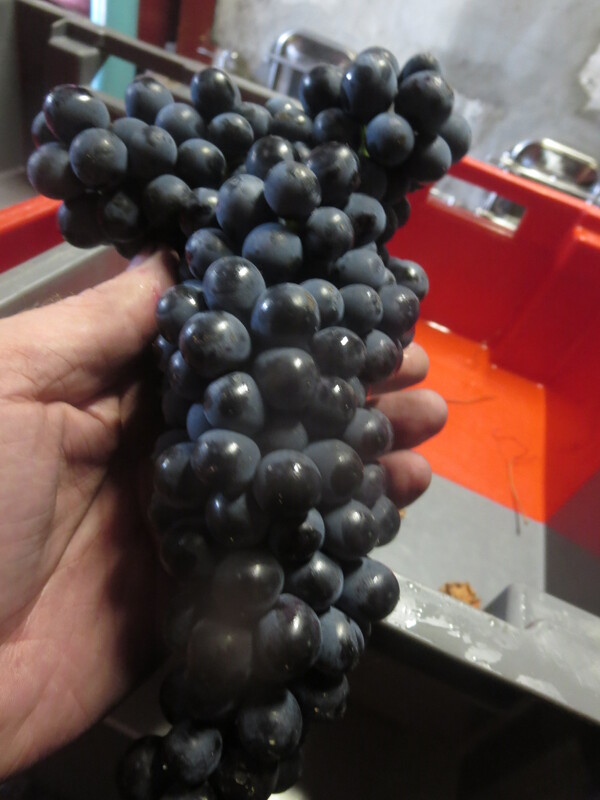 Rain just before vendanges saved the day but massaged rather than cured the problem. When rain did come it was often in the form of storms. Sharp, heavy rainfall does not absorb into the soil so easily. Moreover where vignerons spray herbicides on their land the soils often wash away as there is nothing to hold the soil in place. For more environmentally aware producers this can be frustrating as chemically treated soils could wash onto their land. This is one reason why Jeff plants trees, bushes and flowers and digs ditches, to protect his vines from the risk of contamination. 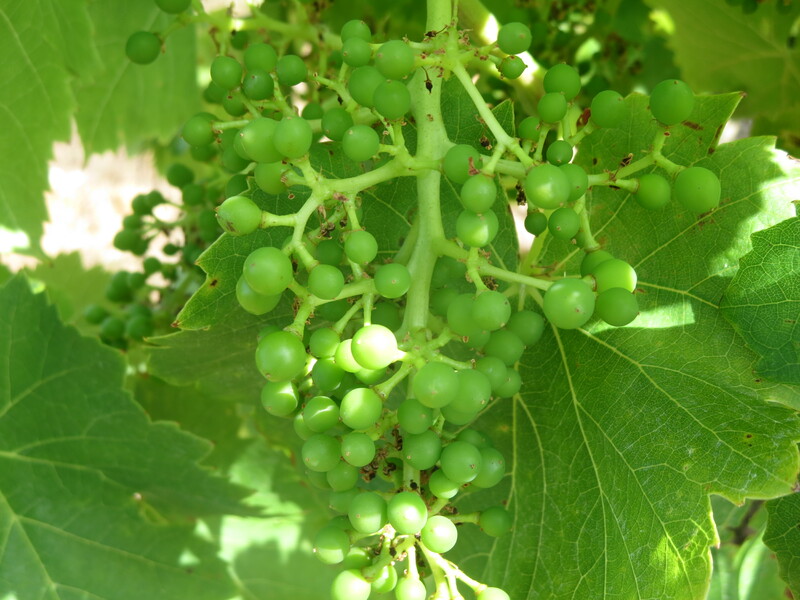 The combination of sun (and even sunburned grapes), drought, rain, frost and hail made this a difficult year. However, that is not the end of the story. Climate conditions bring disease and it is that aspect of nature which I shall examine next. Categories: Vignerons, Vines | Tags: Drought, floods, frost, hail, Jeff Coutelou, Languedoc, Mas Coutelou, Weather and vines | Permalink.